His attack generated a deep shock along and caused a fracture in American society. The media in the US is a sacred asset and value, protected by the First Amendment to the Constitution, which ensures that there is no infringing on the freedom of press, and which safeguards freedom of speech through rules which have become sacred over the course of nearly 250 years of independence. There is a lot of criticism in the American society against the leading media outlets—mainly those based on the East Coast—over their credibility, the political inclination of their journalists and their difficulty in understanding Americans who live in Middle America. Presidents have mocked media outlets, attacked them in their speeches and even—in President Richard Nixon’s case—tried to destroy them financially. But a president who presents media outlets as enemies of the people is a real novelty. Join the club, I said to my friends in the American media. We have been experiencing this situation for several years now. 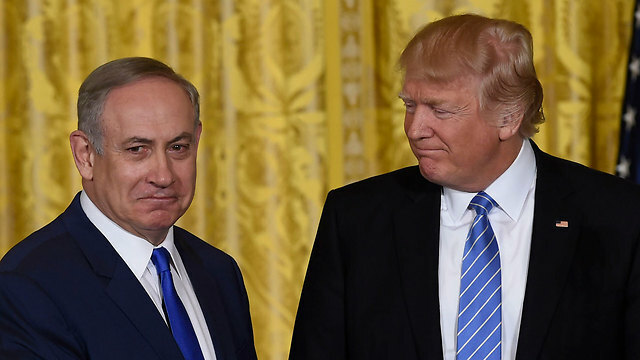 The slogan “The people versus hostile media” was not invented in America, it was invented here, and not by Prime Minister Benjamin Netanyahu. The person who can takes credit for spreading the slogan is Kiryat Arba resident Elyakim Haetzni. The idea was born 40 years ago as part of a settler campaign, but only in recent years it has turned from something amusing into a threatening reality. It is only in recent years that politicians’ interests and complexes have met the new, violent reality of social media. The result has been physical threats, the cursing and persecution of journalists and the delegitimization of the entire journalistic sphere. There are no more facts; there are “alternative facts.” There is no more news; there is “real news,” news which glorifies the government, and “fake news,” news which embarrasses it. The media ais not the enemy of the people, neither in the US nor in Israel. The people are the media’s clients, consumers and breadwinners. The media courts the people, clings to them, fights for their attention. Sometimes it exaggerates in its desire to create interest, stimulate, like in the case of Donald Trump, who would not have been elected had every media outlet which he is now describing as “enemies of the people” not emphasized every single attacking tweet of his. It’s true that the media has an oppositionist temperament. That’s the media’s nature. That’s the reason why in the first years of the State of Israel, the private press in Israel—Yedioth Ahronoth and Maariv—was dominated by right-wing journalists and radical, anti-establishment leftists. The government complained, but learned to deal with the criticism. In Israel, unlike the US, the media are not protected by the constitution. There is no constitution. The freedom of journalistic work is protected by the rules of the game, the fruit of 69 years of democracy and High Court rulings, and the public interest. Netanyahu is trying to destroy these two bases of power. In order to weaken the commercial television channels and make their owners do what he wants, he appointed himself communications minister, an outrageous appointment from its very first day. The conflict of interest was not just one involving media tycoons Arnon Milchan and Shaul Elovitch, it was also one which involved Isaac Molho, his emissary and lawyer, who represents a series of media organizations. The fact that the gatekeepers allowed this situation to exist until recently is a breach of duty on their part. He led to the disbandment of the Israel Broadcasting Authority, and after confirming its death, he demanded that it be revived with as much capacity to function as that of a zombie. In order to destroy print media, he worked to establish Israel Hayom and fought against every attempt to force the person who gave him this gift, billionaire Sheldon Adelson, to subject the free newspaper to the rules of the market. Why are we complaining about champagne and cigarettes when another billionaire gives Netanyahu a perk worth tens of millions of dollars a year? On the one hand, these processes—both here and there—are dangerous. They are threatening democracy’s lifeline. On the other hand, they are pathetic. The media outlets that Trump is attacking will not be deterred and will continue to expose his misdeeds. The same applies to Netanyahu’s attempts to suffocate the criticism against him here. Apart from a few veteran journalists who have chosen to be chips on the casino’s roulette wheel, the Israeli press is thriving. This may be a temporary situation. Candles aso shine bright before they cease to burn. And it’s possible that the temporary nature is on the other side: Politicians come and go, but the curiosity, the criticism, the inquisitiveness remain forever.